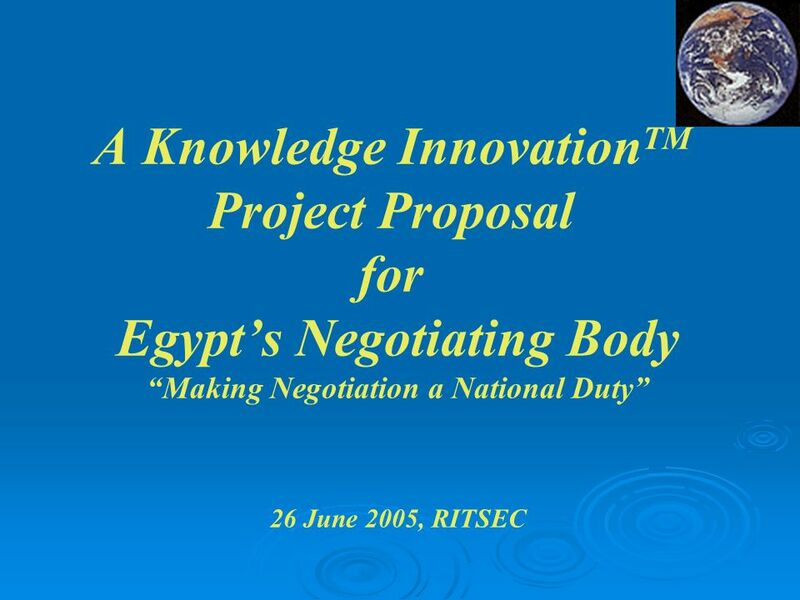 A Knowledge InnovationTM Project Proposal for Egypt’s Negotiating Body “Making Negotiation a National Duty” 26 June 2005, RITSEC. 4 Agenda Introduction. 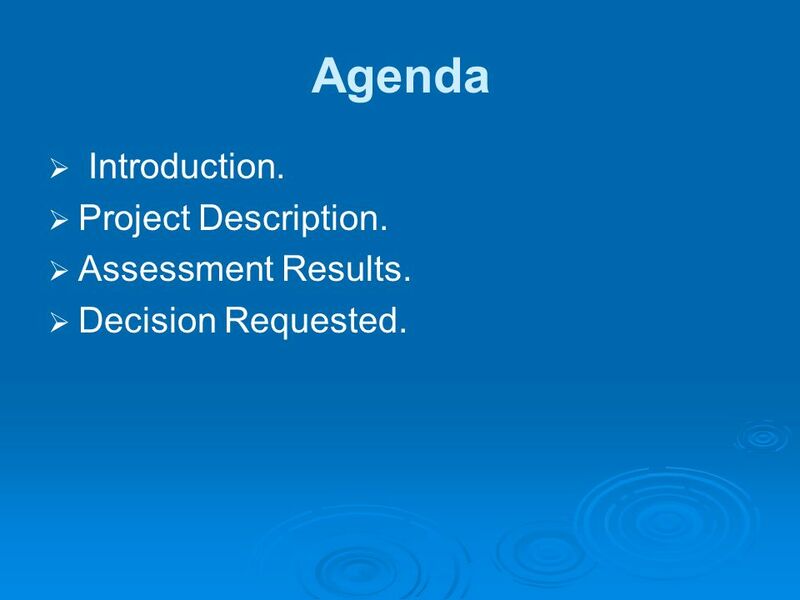 Project Description. Assessment Results. routinely administrative not technical work. lack of core competencies. wok is based on initiatives from team leaders and their team members. 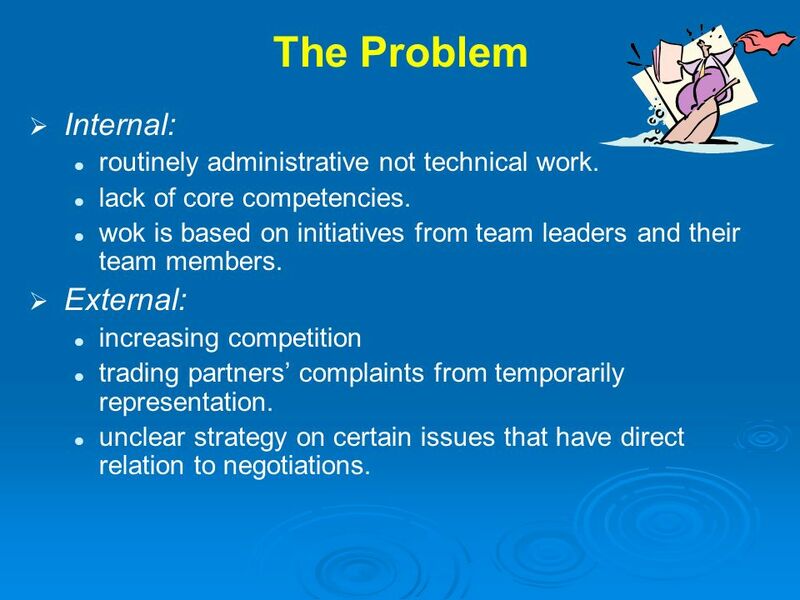 External: increasing competition trading partners’ complaints from temporarily representation. unclear strategy on certain issues that have direct relation to negotiations. 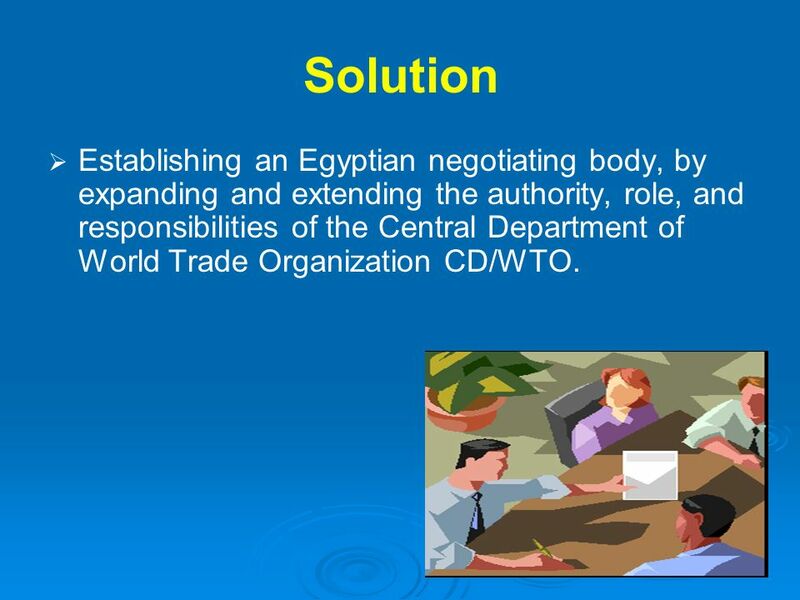 6 Solution Establishing an Egyptian negotiating body, by expanding and extending the authority, role, and responsibilities of the Central Department of World Trade Organization CD/WTO. 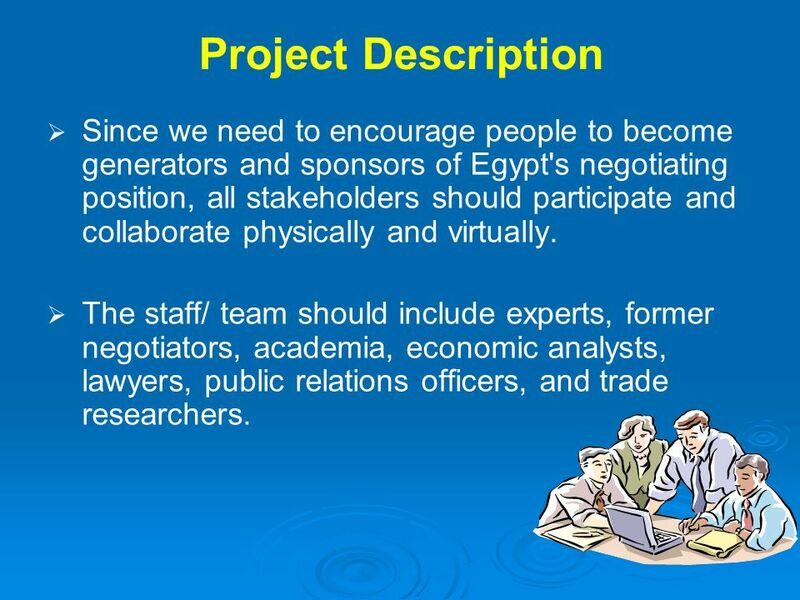 7 Project Description Since we need to encourage people to become generators and sponsors of Egypt's negotiating position, all stakeholders should participate and collaborate physically and virtually. The staff/ team should include experts, former negotiators, academia, economic analysts, lawyers, public relations officers, and trade researchers. 8 Project Description Representatives from relevant Ministries, to provide input relevant to their field of specialization. They should be in a direct contact with the decision makers in their organizations. Intensive training. Permanent delegation to represent Egypt in all negotiating forums. Reducing costs associated with traditional communication and coordination. Better trade offs in negotiations. Better returns for industries and business communities from using right tools. Increasing exports. 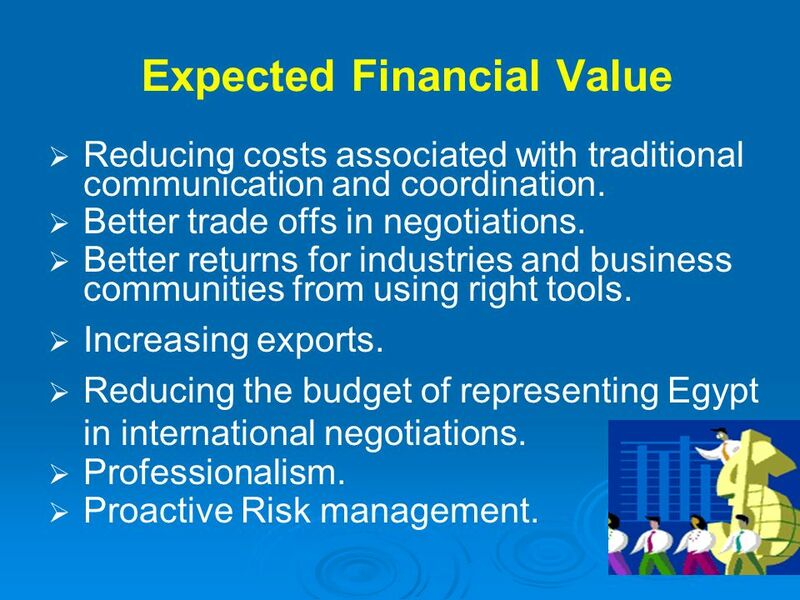 Reducing the budget of representing Egypt in international negotiations. Professionalism. Proactive Risk management. Ensuring sustainability. Building cumulative experiences. Spreading knowledge about trade negotiations. Correcting wrong ideas about trade liberalization. Transparency - builds trust in the government's decision. Collaboration creates commitment from all participants. Support the Egyptian lead negotiators. Enhance Egypt's credibility in the multilateral and regional forums of negotiations. Better alignment between the internal and external environment. Ensuring accurate and updated information. Dominance in the market. Better decision making process. Strong negotiating positions. Immediate respond to requests by trading partners. Right implementation of the negotiations' outcomes. Initiatives from regulators to explain their regimes and from business community to share information about their domestic and int'l activities. Achieving reliability / Enhancing credibility. 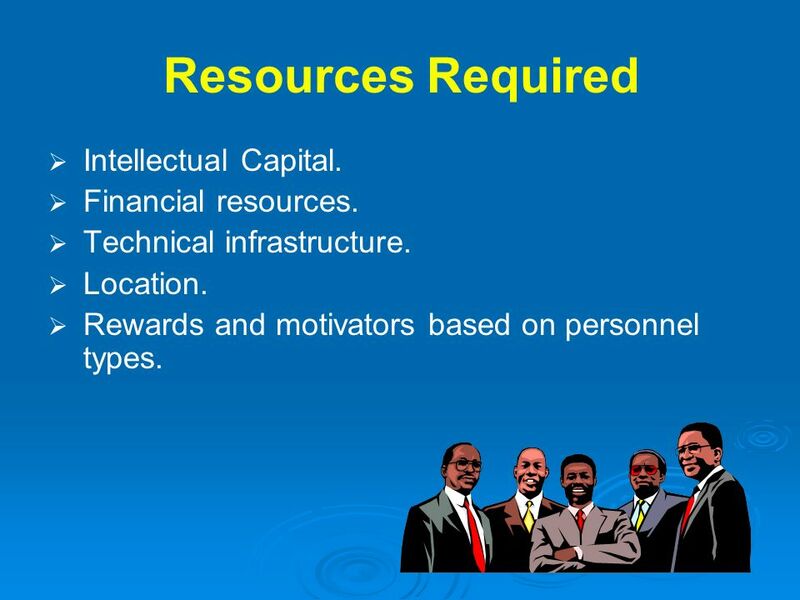 12 Resources Required Intellectual Capital. Financial resources. Technical infrastructure. Location. Rewards and motivators based on personnel types. 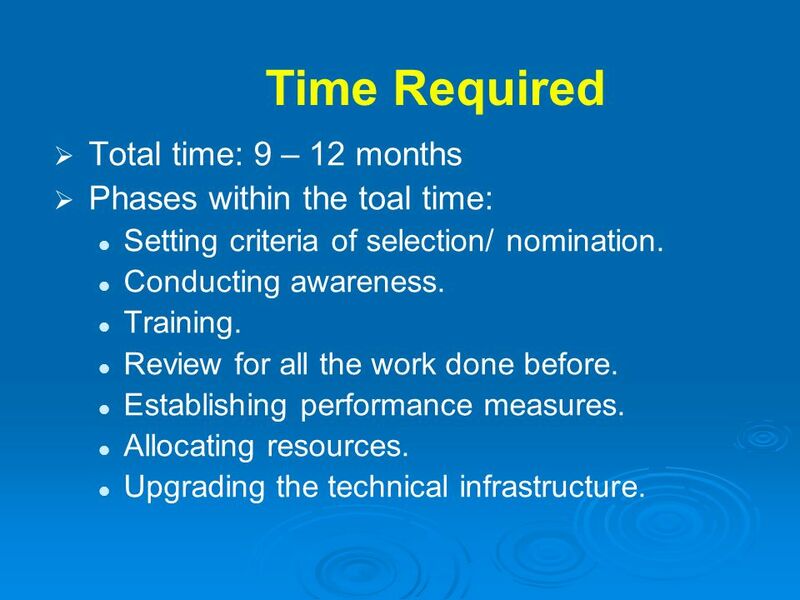 Setting criteria of selection/ nomination. Conducting awareness. Training. Review for all the work done before. Establishing performance measures. Allocating resources. Upgrading the technical infrastructure. A good staff already exist in the organization and the organization has the capability to hire, train, and maintain new employees. Infrastructure is there, needs only to be upgraded. Cost / Benefit Analyses. Formulating negotiating positions. Formal representation. Creating public awareness programs. Assessing the impact of liberalization on the economy. Analyzing other positions to capitalize on opportunities. 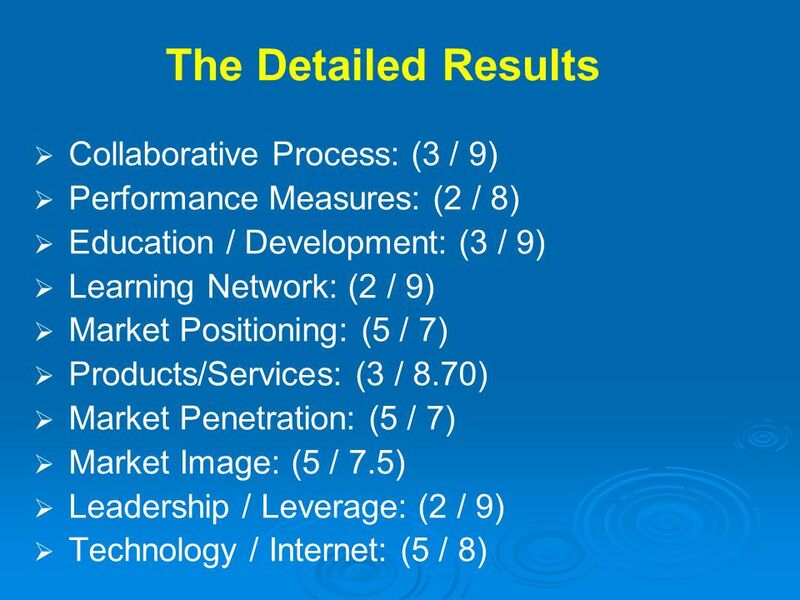 Evaluating performance. Capacity Building. 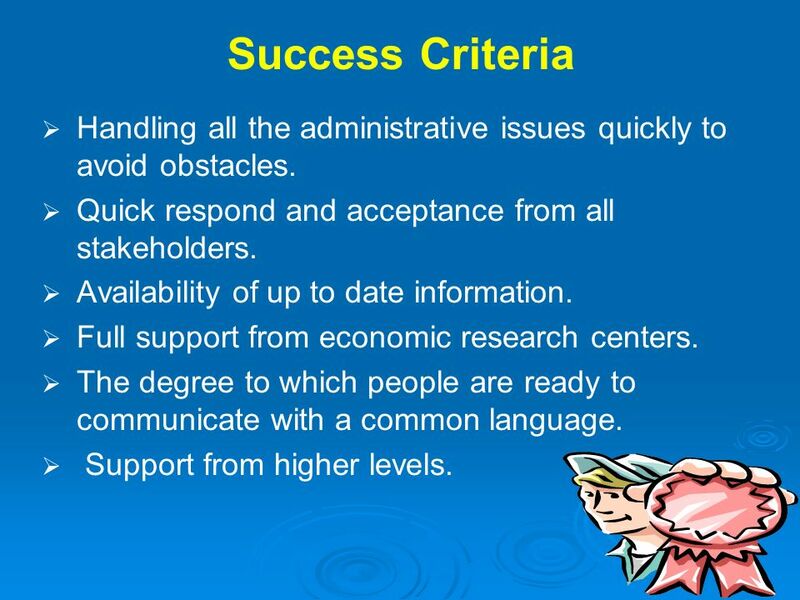 16 Success Criteria Handling all the administrative issues quickly to avoid obstacles. Quick respond and acceptance from all stakeholders. Availability of up to date information. Full support from economic research centers. The degree to which people are ready to communicate with a common language. Support from higher levels. Leadership. Collaboration. Performance Measures. Education/ Development. Product / Service. 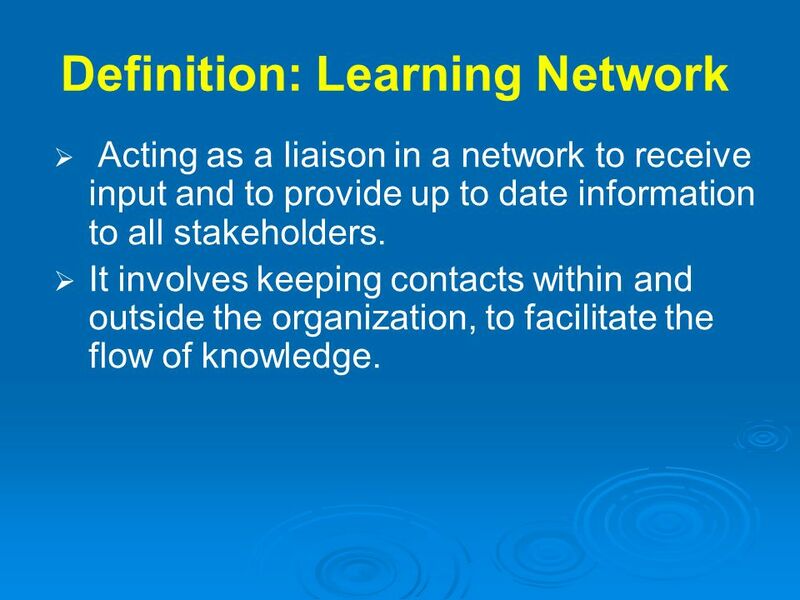 Learning Network. Explore different ways to enhance leadership skills. An effective Leader who has a future vision, capable of optimizing the collaboration process. Have effective strategies to disseminate knowledge to the marketplace A leader who thinks stratigically to ehance education and development, services provided and consequently being able to create a worldwide presence for the organization. Performance Measure should be perceived as a learning activity. Enhancing performance is the key to better service and unique position in the market. Define and share standards of performance. 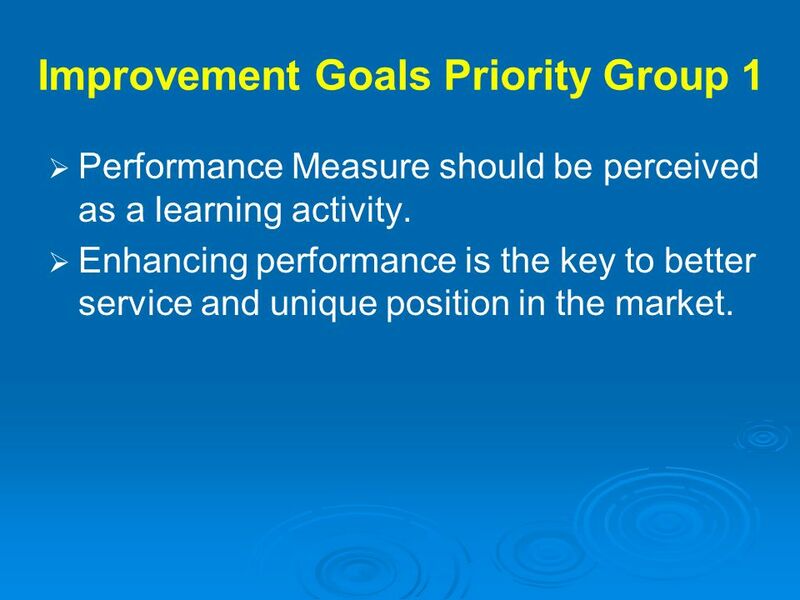 Develop performance measures. 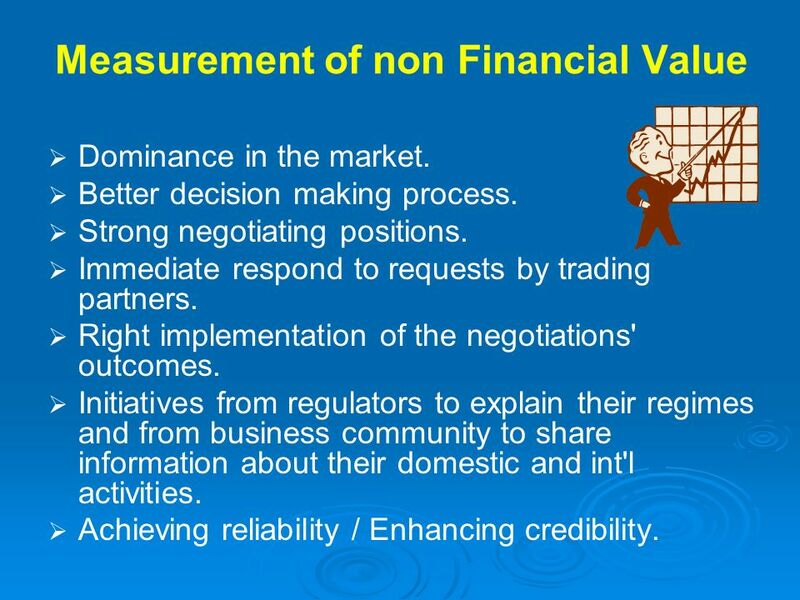 Measures should be diversified to ensure fairness of the evaluation: Intangible outcomes: reward idea creation, responsible risk-taking. Tangible outcomes: development of innovations into products/ services Collaboration and interaction across organizational boundaries should be measured in terms of value-added contributions. Market Positioning. Market Penetration. Market image. Technology. Technology should be used to promote collaboration between employees who work in different negotiating issues. Create a virtual community. Establish an intranet to share knowledge on different issues. To maintain the direct link and full collaboration with the Geneva based negotiators, video conferences and e- meetings should be conducted to get the most quick and recent information on developments in negotiations. Encouraging interested parties to participate in decision making (not taking). 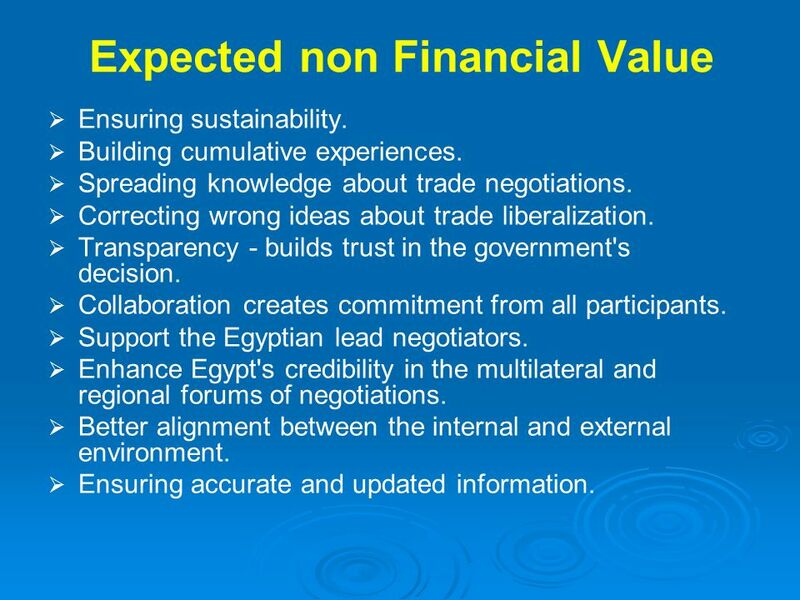 To cooperate with the CD/WTO to perform joint studies and analysis on Egypt's current situation in all issues subject to negotiations and prepare a position paper on what we need as outcomes of the negotiations. 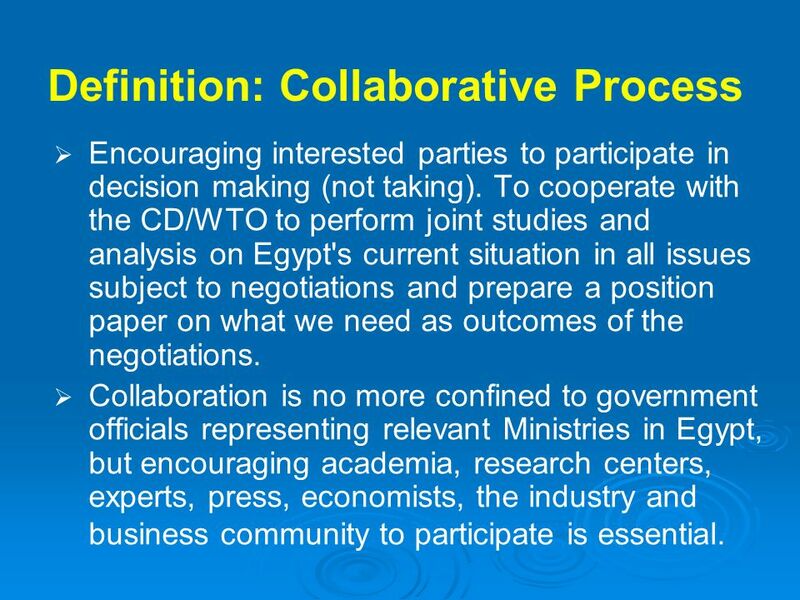 Collaboration is no more confined to government officials representing relevant Ministries in Egypt, but encouraging academia, research centers, experts, press, economists, the industry and business community to participate is essential. Urgent (address immediately) an explicit innovation process should exist. identifying a contact person for the overall innovation process. cross-organizational leadership support for this contact person. innovation process must be capable of supporting the development of innovation from idea creation through commercialization. 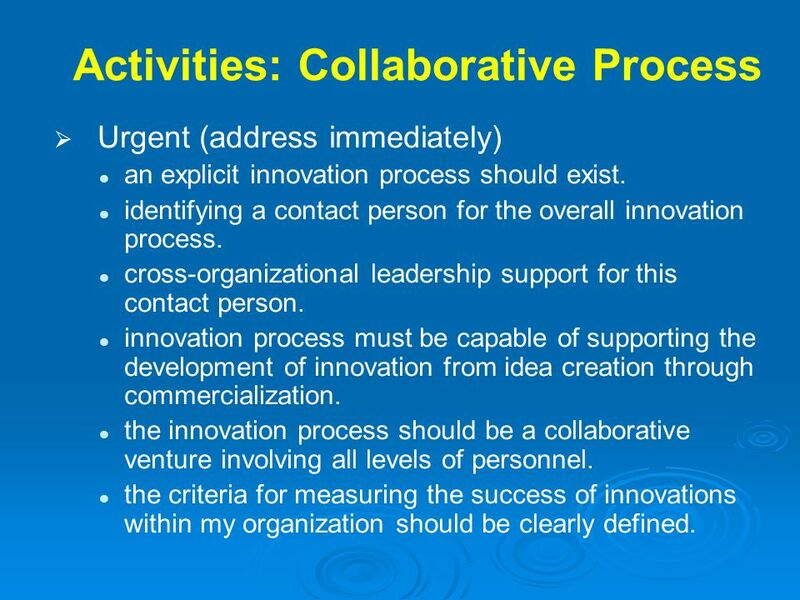 the innovation process should be a collaborative venture involving all levels of personnel. the criteria for measuring the success of innovations within my organization should be clearly defined. 30 The ideas Conduct public awareness workshops, media programs and press releases. Intense training program should be conducted to prepare "Egypt's delegation for all negotiations". To ensure sustainability, the primary members should build a second staff from juniors representing different backgrounds. A website should be established that contains all relevant information to negotiations, and to facilitate communication with the public and business community. "Where are we and What should we do” Creating public awareness and updates the historical knowledge capturing people's mind. Culture should change from accepting and being reactive to participating and being proactive. Establishing a common language will pave the way for collaboration and communication, in addition sharing views about particular sectors of the economy will give our department a good idea about trade offs in negotiations. 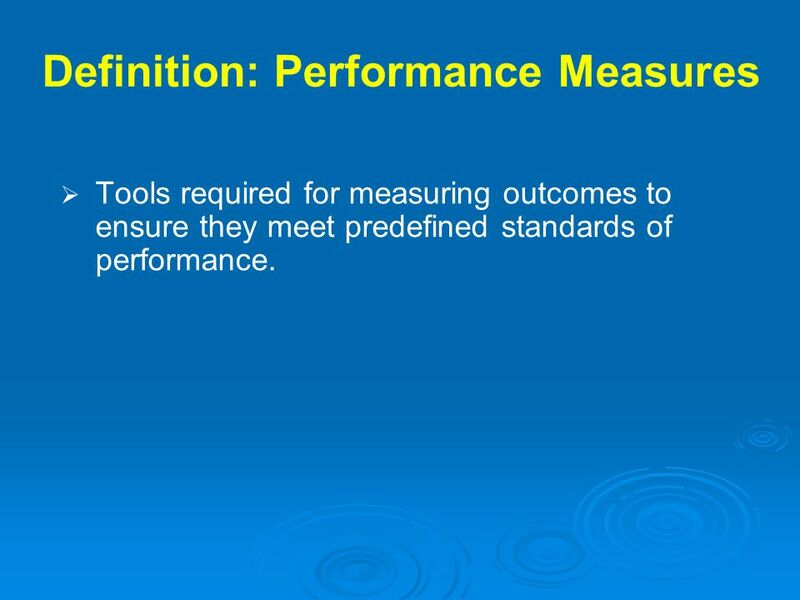 Tools required for measuring outcomes to ensure they meet predefined standards of performance. Urgent (address immediately) the business strategy should be clearly defined and communicated within all levels of the organization. measurement systems should provide a means to promote value in the eyes of customers and stakeholders. put in place the instrumentation needed to ensure proper, consistent calibration over time. 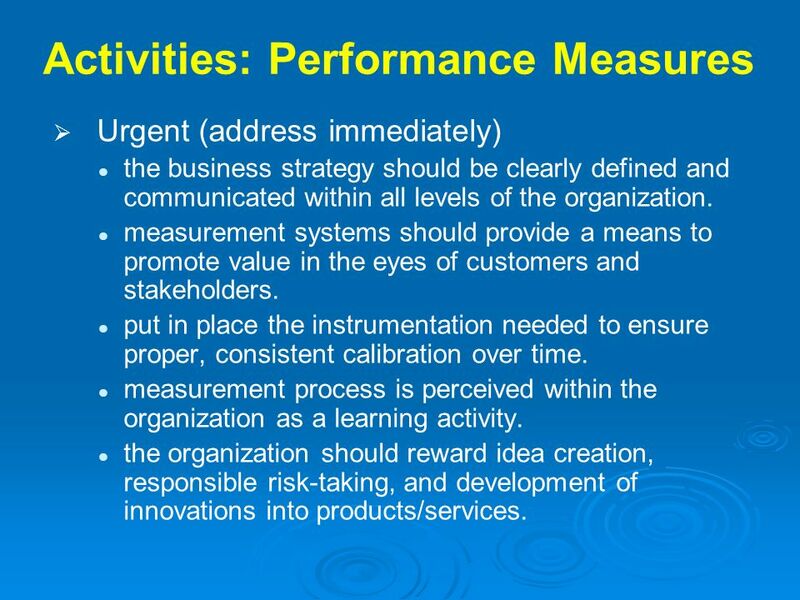 measurement process is perceived within the organization as a learning activity. the organization should reward idea creation, responsible risk-taking, and development of innovations into products/services. 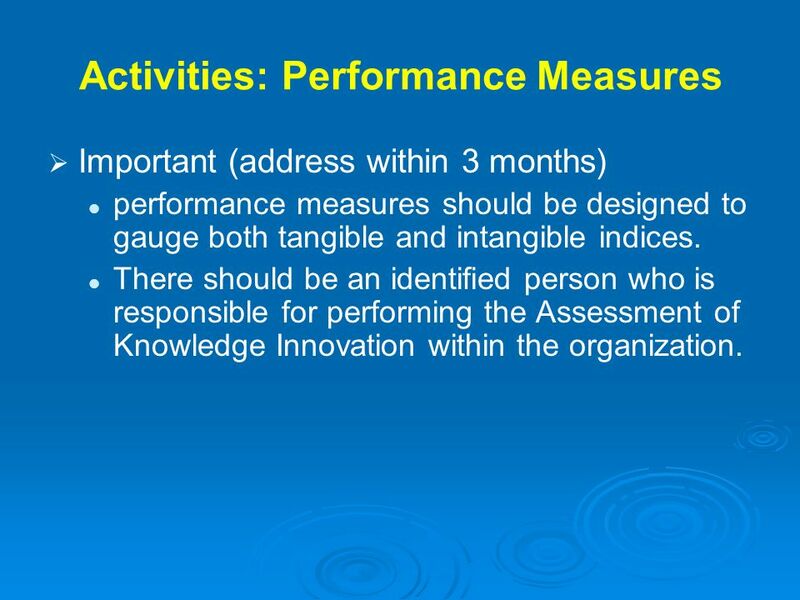 Important (address within 3 months) performance measures should be designed to gauge both tangible and intangible indices. 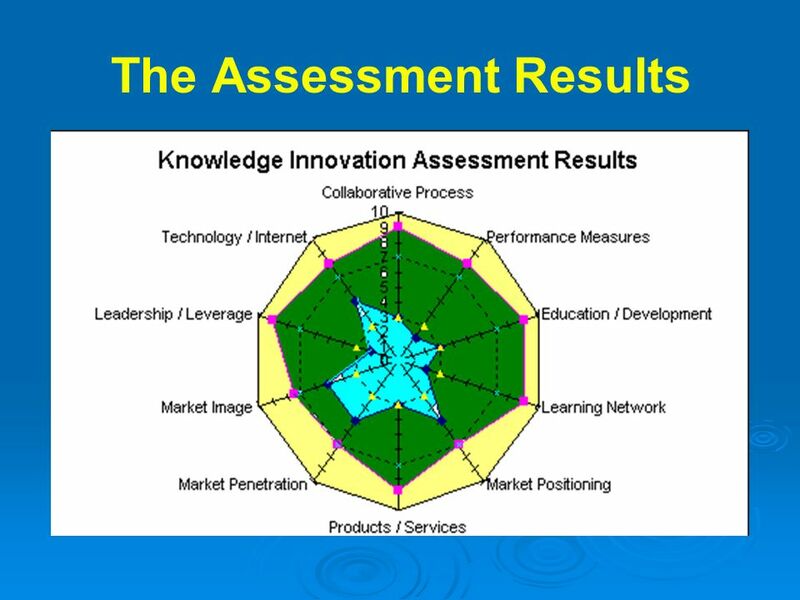 There should be an identified person who is responsible for performing the Assessment of Knowledge Innovation within the organization. 35 The ideas Initiatives and creative ideas should be measured in terms of their success to exceed objectives. 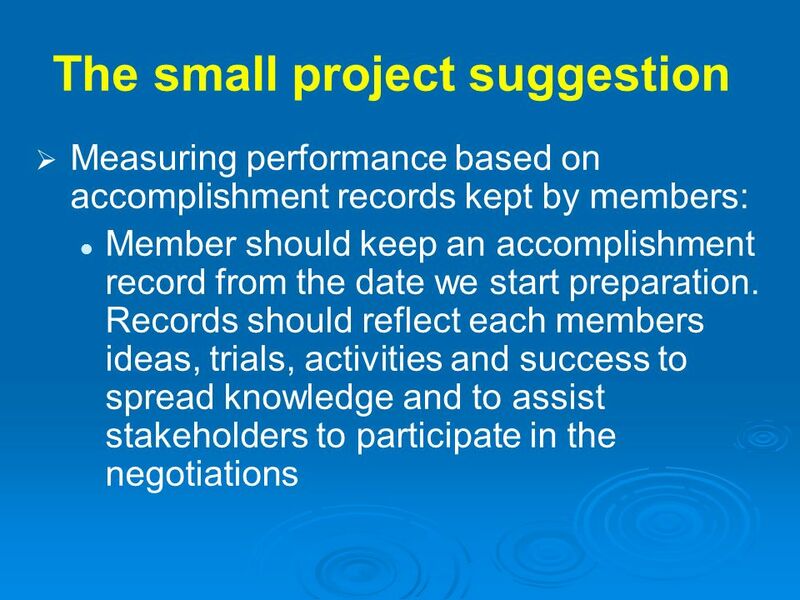 Accomplishment records should be a formal measure of performance. 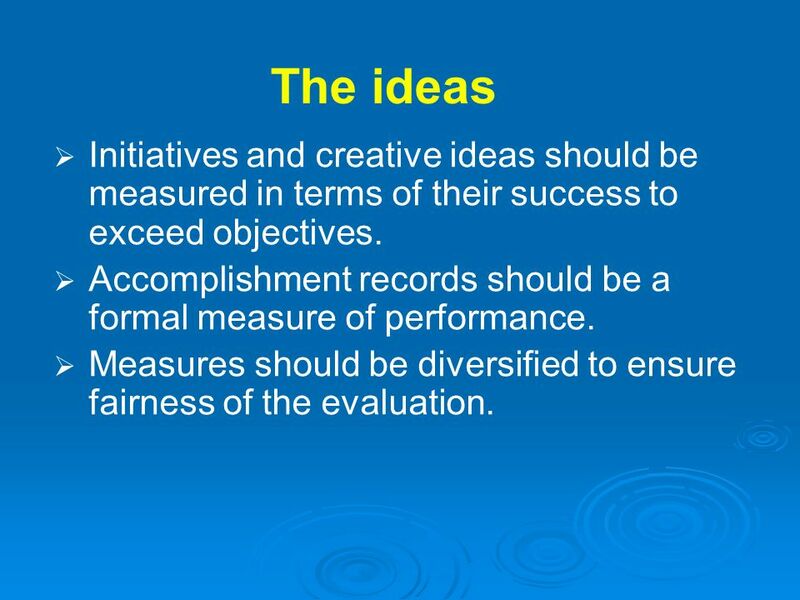 Measures should be diversified to ensure fairness of the evaluation. 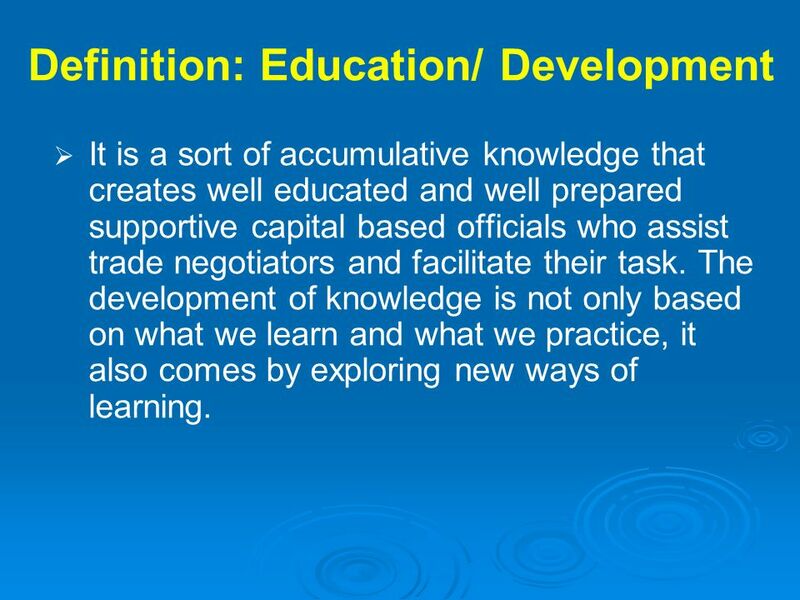 It is a sort of accumulative knowledge that creates well educated and well prepared supportive capital based officials who assist trade negotiators and facilitate their task. The development of knowledge is not only based on what we learn and what we practice, it also comes by exploring new ways of learning. Urgent (address immediately) the location / locations where knowledge is created within the organization should be identified. establishing mechanisms within the organization to capture “fugitive” or “tacit” knowledge. establishing mechanisms within the organization to evaluate the usefulness of “fugitive” / “tacit” knowledge to the organization. teaching strategies used in the organization’s educational programs should provide for dynamic dialogue among participants. all employees within the organization should view learning as an integral, day-to-day responsibility. 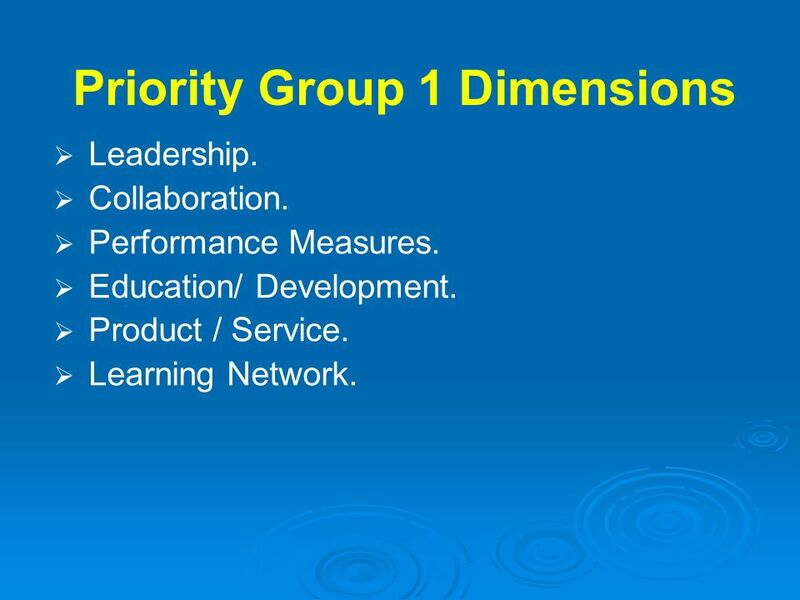 Important (address within 3 months) educational programs and processes within the organization should be learner-centered. the organization’s educational programs have to be designed to include a variety of teaching strategies. allocation of organizational resources for education must be seen by management as an investment in the future value of the organization. 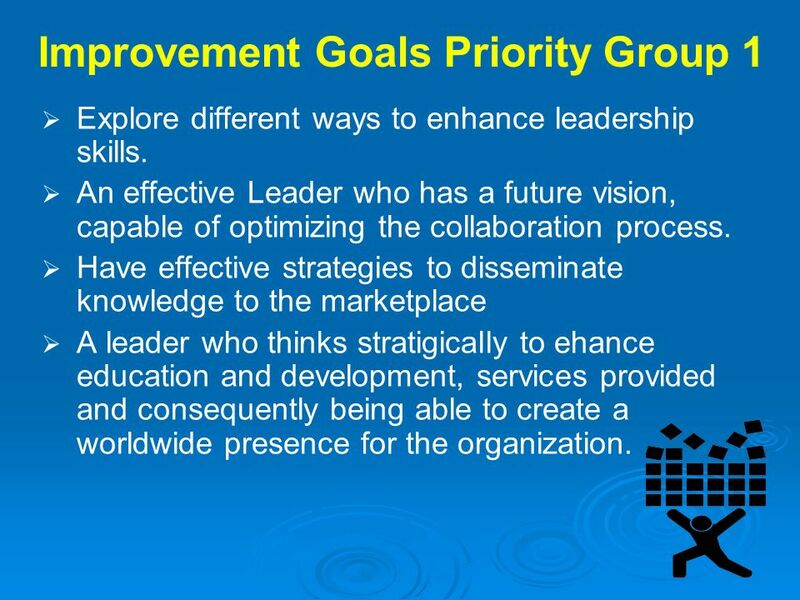 the expanding global community should be utilized as a learning resource for personnel within the organization. 40 The ideas Periodical meetings with members to share experiences in all issues dealt with, and to allow capturing tacit knowledge. Job rotation to explore new issues. Tailored training courses from the learner's point of view, locally /internationally. 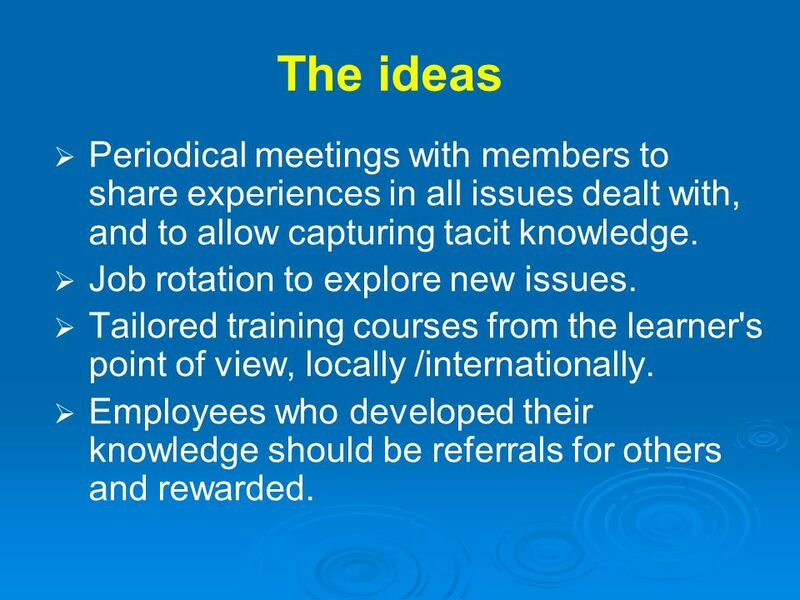 Employees who developed their knowledge should be referrals for others and rewarded. 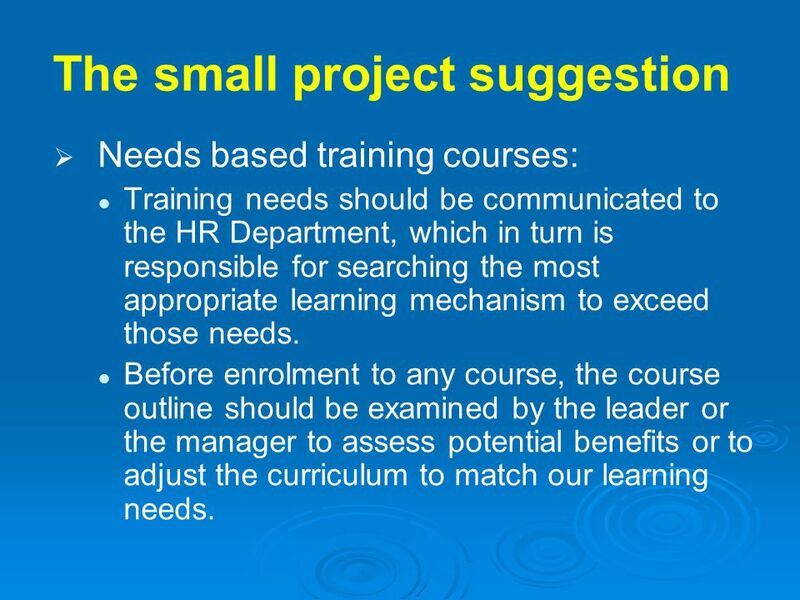 Needs based training courses: Training needs should be communicated to the HR Department, which in turn is responsible for searching the most appropriate learning mechanism to exceed those needs. Before enrolment to any course, the course outline should be examined by the leader or the manager to assess potential benefits or to adjust the curriculum to match our learning needs. Acting as a liaison in a network to receive input and to provide up to date information to all stakeholders. It involves keeping contacts within and outside the organization, to facilitate the flow of knowledge. Urgent (address immediately) the organization should have an effective worldwide presence. 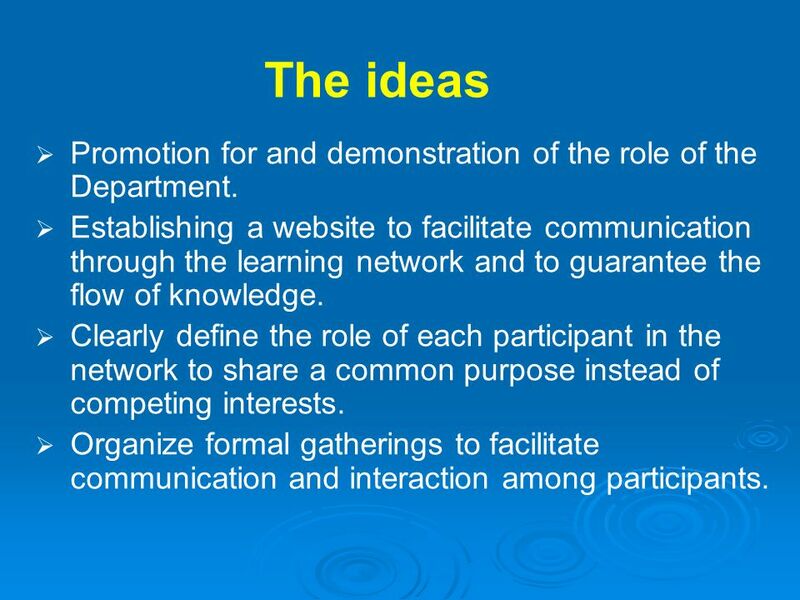 establish communication systems to effectively promote cross-fertilization of knowledge between centers. ensure that all participants in the “network” share a common vision. 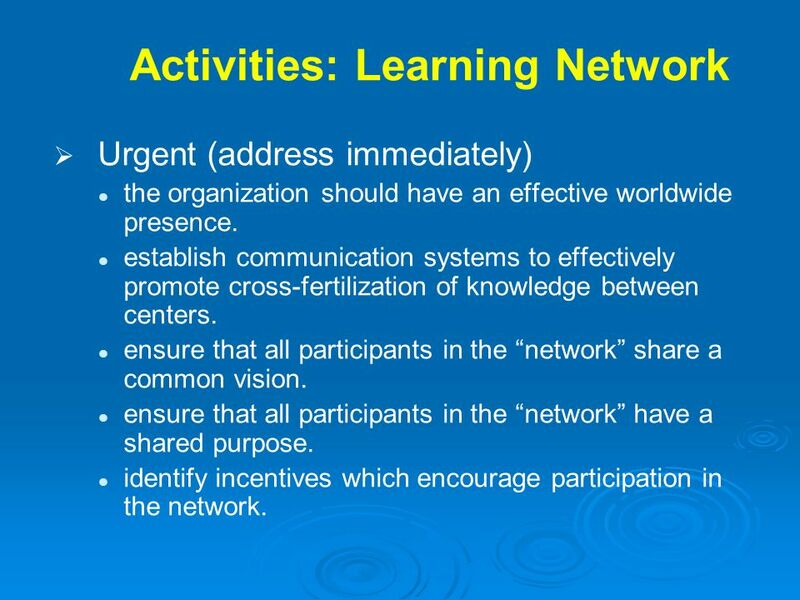 ensure that all participants in the “network” have a shared purpose. identify incentives which encourage participation in the network. Important (address within 3 months) the geographic centers should provide opportunities for dialogue and learning. establish mechanisms to document the economic wealth of the network. establish centers of Excellence which recognize and leverage complementary competencies within the network. communication within the network should be facilitated by computer/communications technology. 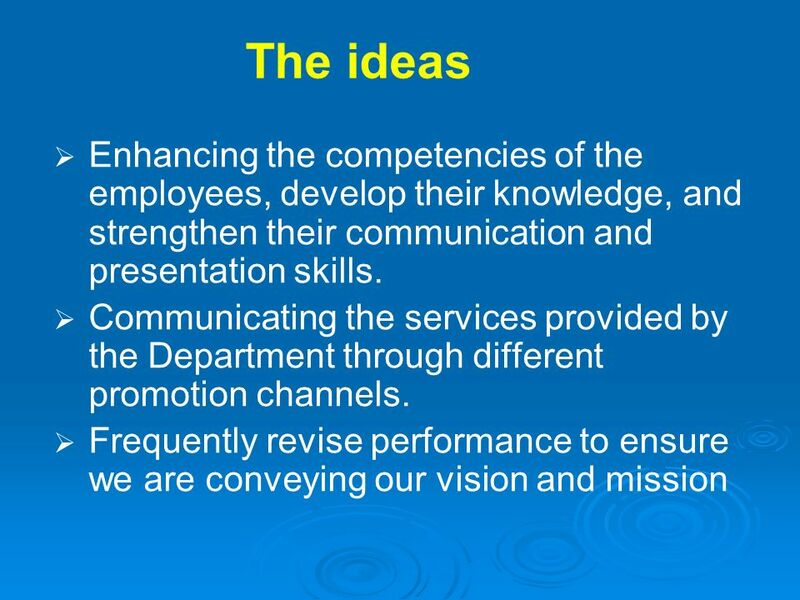 45 The ideas Promotion for and demonstration of the role of the Department. Establishing a website to facilitate communication through the learning network and to guarantee the flow of knowledge. Clearly define the role of each participant in the network to share a common purpose instead of competing interests. Organize formal gatherings to facilitate communication and interaction among participants. 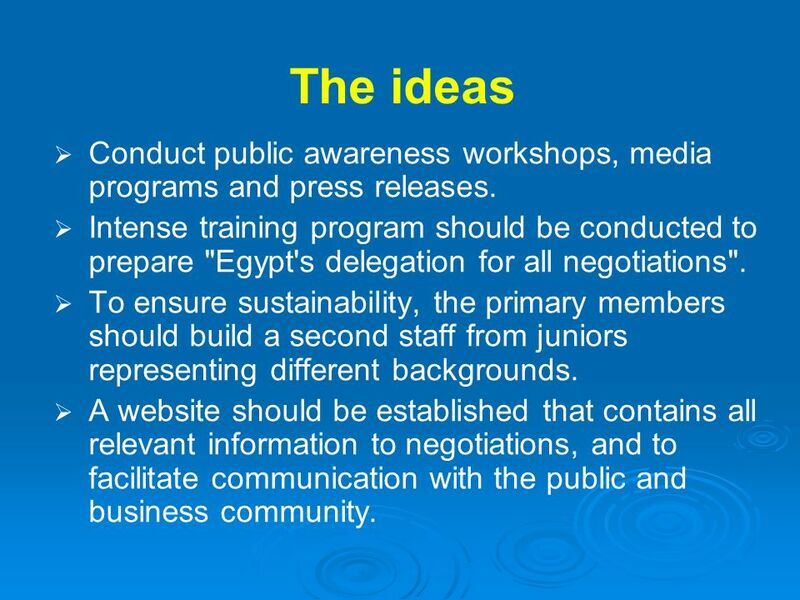 Negotiating body.gov.eg professional facilitators should establish a website to speed communication and interaction, to acquire feedback, and to disseminate information to the public. The website will also serve to promote the presence of the Department worldwide. 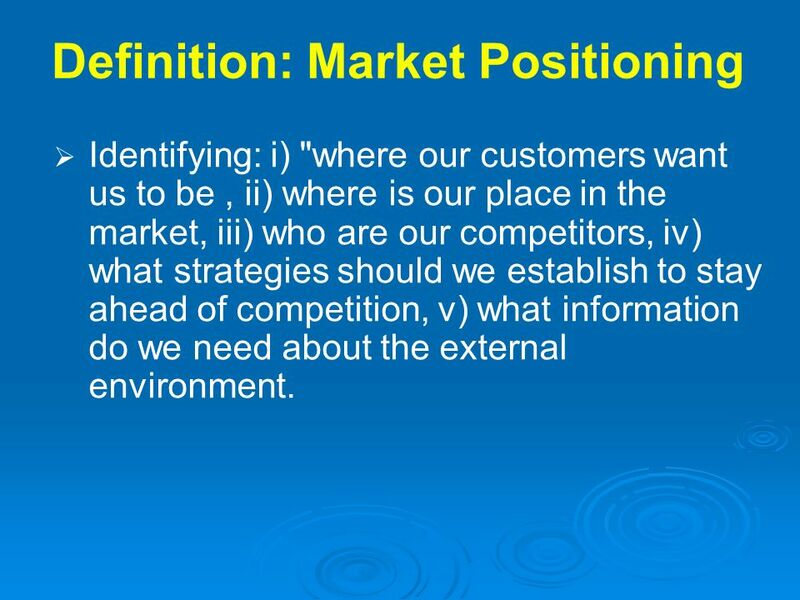 Identifying: i) "where our customers want us to be , ii) where is our place in the market, iii) who are our competitors, iv) what strategies should we establish to stay ahead of competition, v) what information do we need about the external environment. Urgent (address immediately) these mechanisms and/or systems must be integrated into organizational strategies and policies. 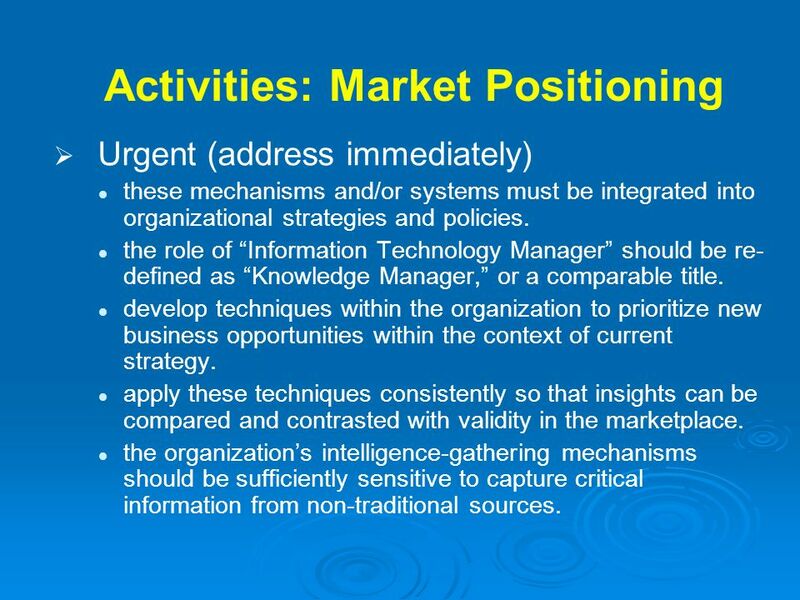 the role of “Information Technology Manager” should be re-defined as “Knowledge Manager,” or a comparable title. develop techniques within the organization to prioritize new business opportunities within the context of current strategy. apply these techniques consistently so that insights can be compared and contrasted with validity in the marketplace. the organization’s intelligence-gathering mechanisms should be sufficiently sensitive to capture critical information from non-traditional sources. Important (address within 3 months) the organization should establish mechanisms and/or systems to align the internal environment with the external environment. the organization’s range of vision should consistently and accurately captures signals from diverse competitors (both current and future). 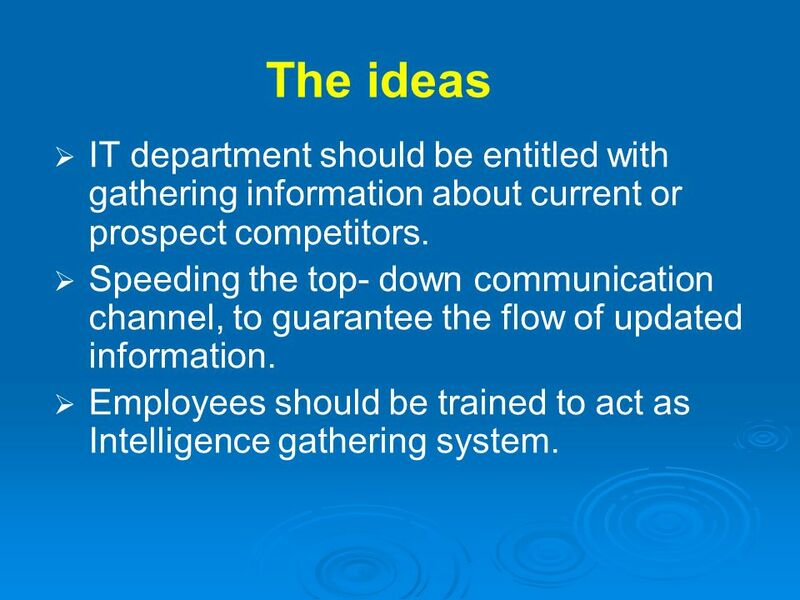 50 The ideas IT department should be entitled with gathering information about current or prospect competitors. Speeding the top- down communication channel, to guarantee the flow of updated information. Employees should be trained to act as Intelligence gathering system. 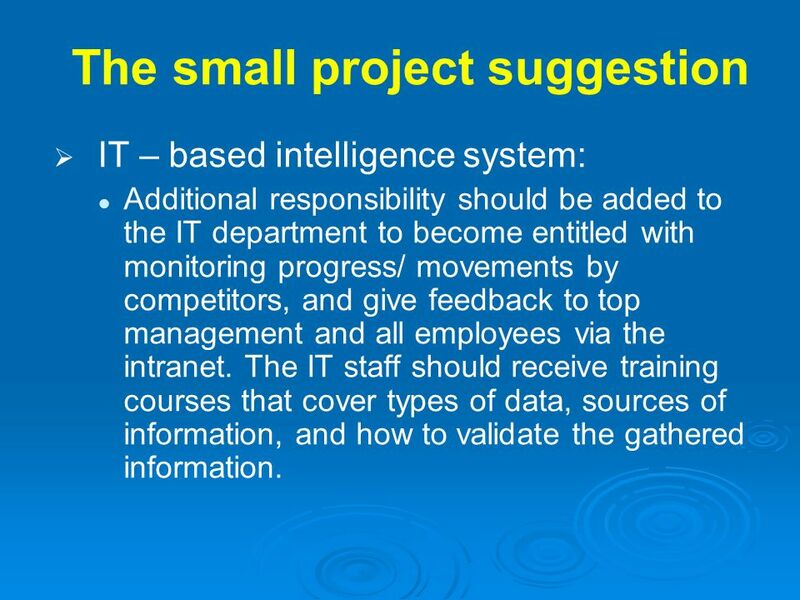 IT – based intelligence system: Additional responsibility should be added to the IT department to become entitled with monitoring progress/ movements by competitors, and give feedback to top management and all employees via the intranet. The IT staff should receive training courses that cover types of data, sources of information, and how to validate the gathered information. providing tangible and intangible outcomes, creating a knowledge channel that serve all stakeholders by spreading the knowledge among them, provide them with updated information on the ongoing negotiations and solicit feedback. 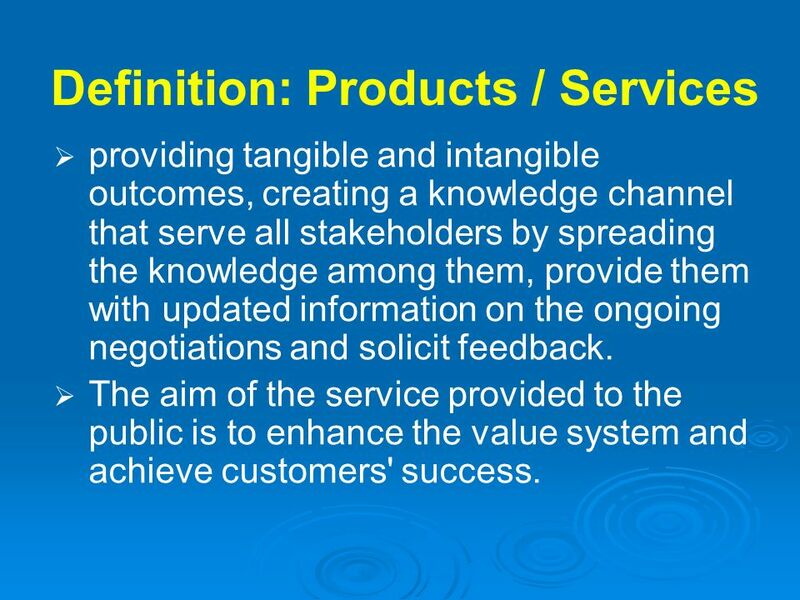 The aim of the service provided to the public is to enhance the value system and achieve customers' success. 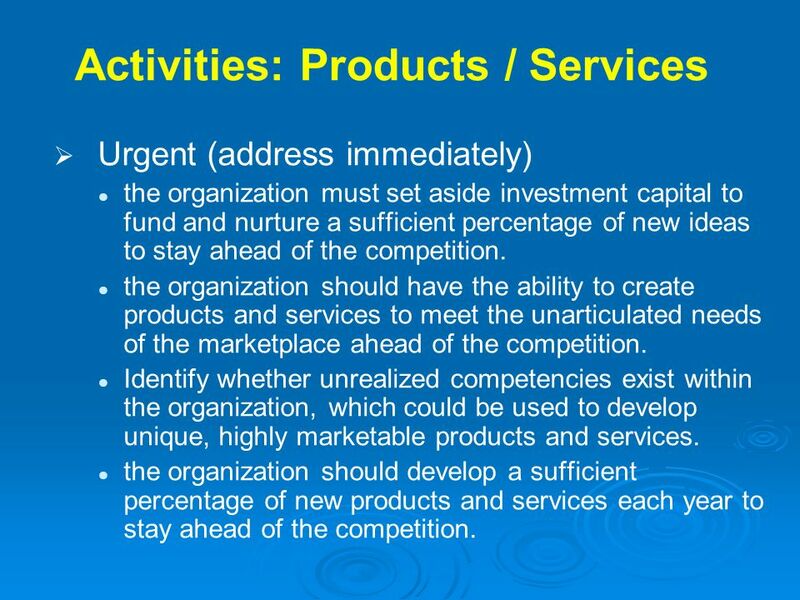 Urgent (address immediately) the organization must set aside investment capital to fund and nurture a sufficient percentage of new ideas to stay ahead of the competition. the organization should have the ability to create products and services to meet the unarticulated needs of the marketplace ahead of the competition. Identify whether unrealized competencies exist within the organization, which could be used to develop unique, highly marketable products and services. the organization should develop a sufficient percentage of new products and services each year to stay ahead of the competition. 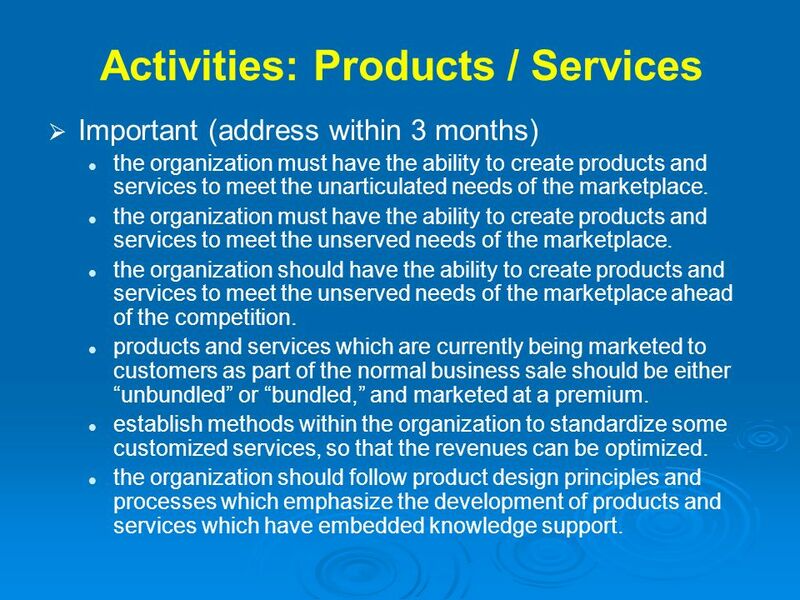 Important (address within 3 months) the organization must have the ability to create products and services to meet the unarticulated needs of the marketplace. the organization must have the ability to create products and services to meet the unserved needs of the marketplace. the organization should have the ability to create products and services to meet the unserved needs of the marketplace ahead of the competition. products and services which are currently being marketed to customers as part of the normal business sale should be either “unbundled” or “bundled,” and marketed at a premium. 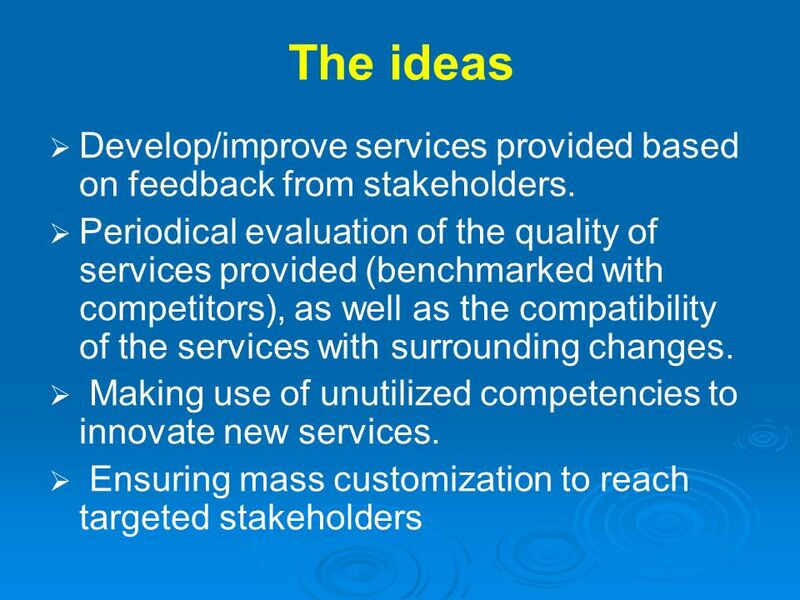 establish methods within the organization to standardize some customized services, so that the revenues can be optimized. the organization should follow product design principles and processes which emphasize the development of products and services which have embedded knowledge support. 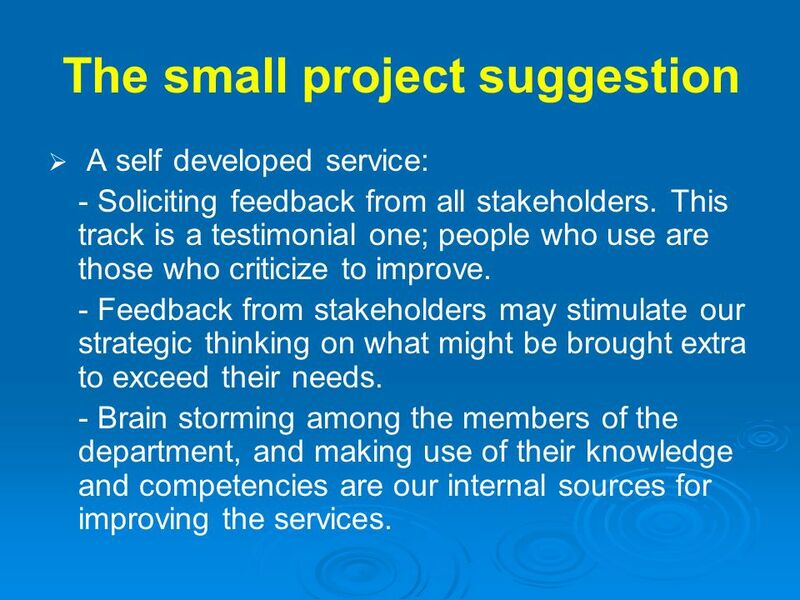 A self developed service: - Soliciting feedback from all stakeholders. 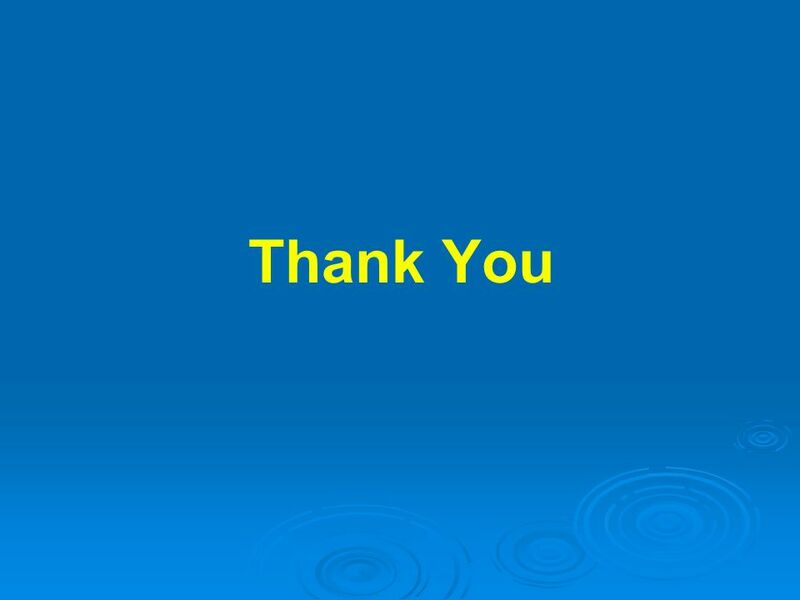 This track is a testimonial one; people who use are those who criticize to improve. - Feedback from stakeholders may stimulate our strategic thinking on what might be brought extra to exceed their needs. - Brain storming among the members of the department, and making use of their knowledge and competencies are our internal sources for improving the services. The approach by which we need to capture a larger share of the market. Our tool for penetration is our technical knowledge, but this is not sufficient, collaboration with other competent bodies and forming alliances is a stronger tool to penetrate a highly demanding market. Urgent (address immediately) the organization’s strategic alliance process should define new rules of participation. 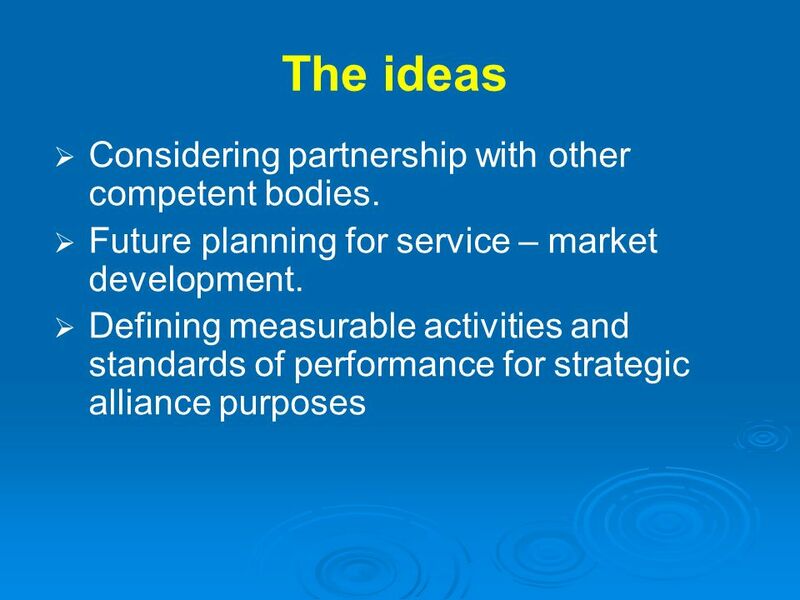 the organization’s strategic alliance process should define measurable activities and standards of performance. the organization has to define its plans for future evolution. the organization should have strategies in place to monitor the strategic alliances of its partners. Important (address within 3 months) the organization should use alternative channels of distribution for its products and services. the organization should view of the “enterprise” as including stakeholders, partners, and customers the organization has to define a map of its existing network of strategic alliances. the organization should have strategies in place for capturing learning from partner interactions, in addition to reaping the traditional return on investment. within its network of strategic alliances, the organization should maintain a balance between cooperative and collaborative relationships. 60 The ideas Considering partnership with other competent bodies. 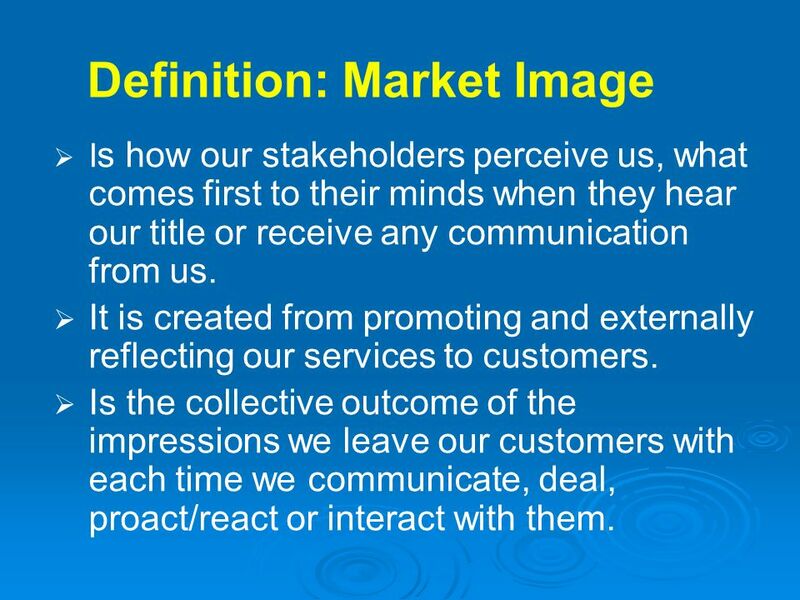 Is how our stakeholders perceive us, what comes first to their minds when they hear our title or receive any communication from us. It is created from promoting and externally reflecting our services to customers. Is the collective outcome of the impressions we leave our customers with each time we communicate, deal, proact/react or interact with them. Urgent (address immediately) the organization’s advertising must define its uniqueness in the marketplace. the organization’s advertising must convey a balanced message regarding its current position and its future direction. within the organization, the difference between a marketing strategy and an advertising campaign is should be clearly defined. 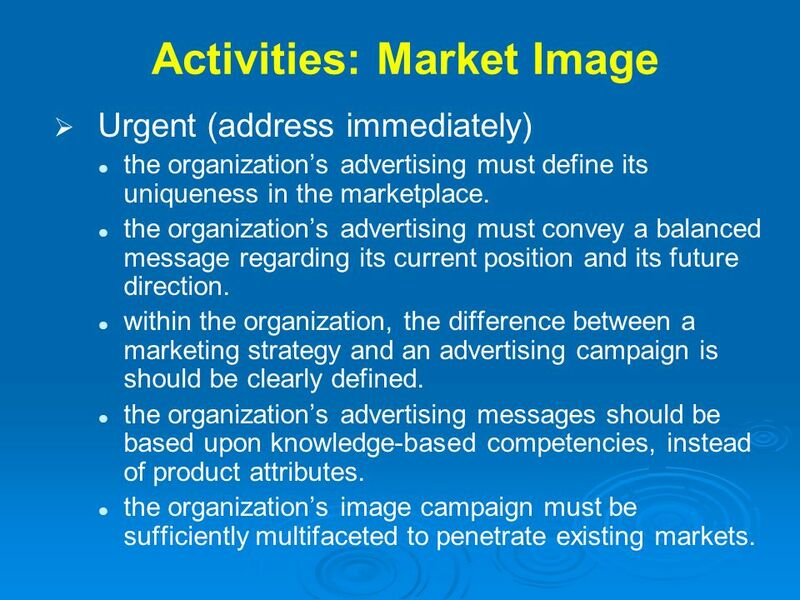 the organization’s advertising messages should be based upon knowledge-based competencies, instead of product attributes. the organization’s image campaign must be sufficiently multifaceted to penetrate existing markets. 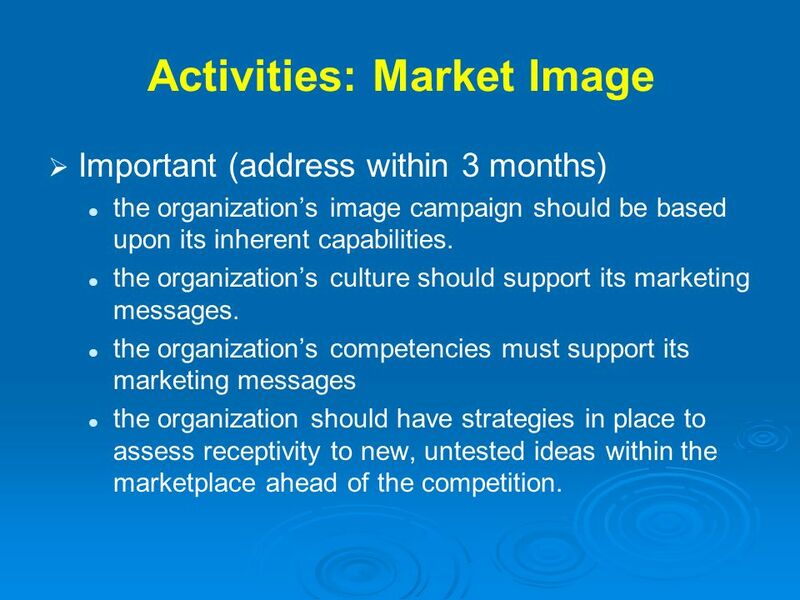 Important (address within 3 months) the organization’s image campaign should be based upon its inherent capabilities. the organization’s culture should support its marketing messages. the organization’s competencies must support its marketing messages the organization should have strategies in place to assess receptivity to new, untested ideas within the marketplace ahead of the competition. 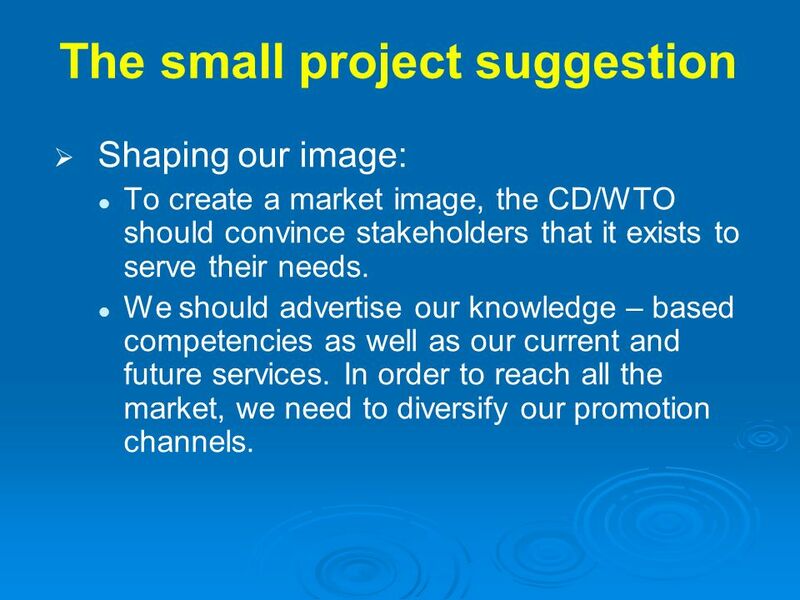 Shaping our image: To create a market image, the CD/WTO should convince stakeholders that it exists to serve their needs. We should advertise our knowledge – based competencies as well as our current and future services. In order to reach all the market, we need to diversify our promotion channels. 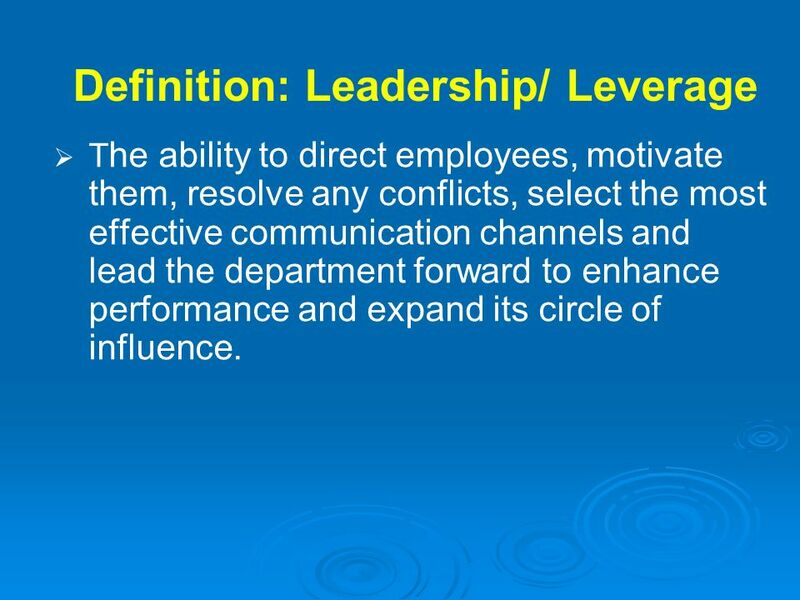 The ability to direct employees, motivate them, resolve any conflicts, select the most effective communication channels and lead the department forward to enhance performance and expand its circle of influence. 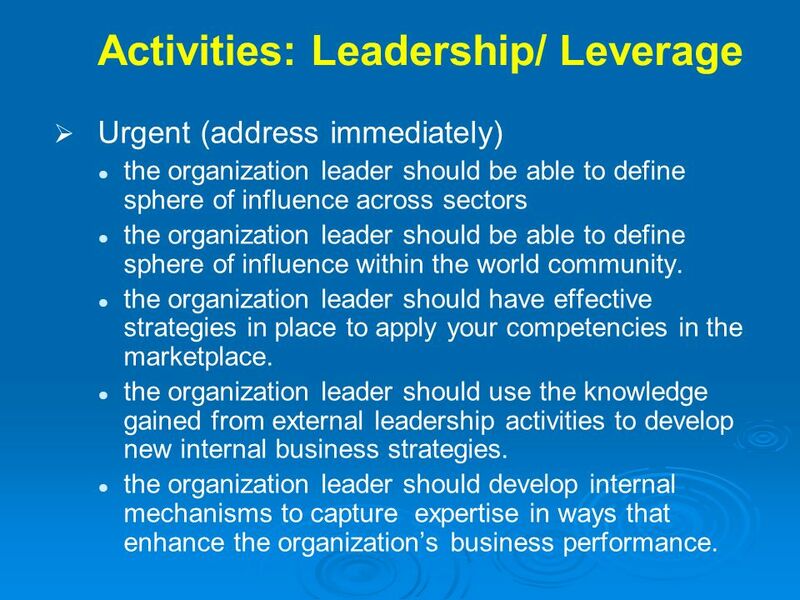 Urgent (address immediately) the organization leader should be able to define sphere of influence across sectors the organization leader should be able to define sphere of influence within the world community. 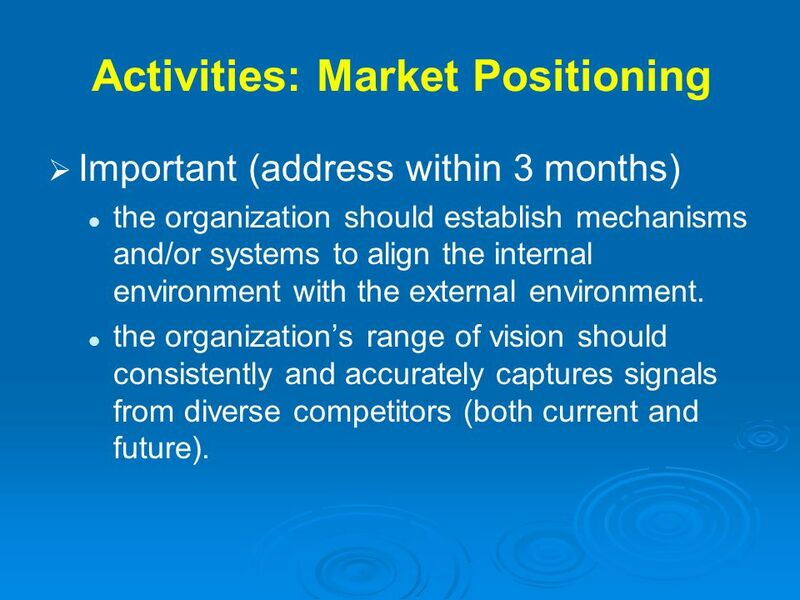 the organization leader should have effective strategies in place to apply your competencies in the marketplace. the organization leader should use the knowledge gained from external leadership activities to develop new internal business strategies. the organization leader should develop internal mechanisms to capture expertise in ways that enhance the organization’s business performance. 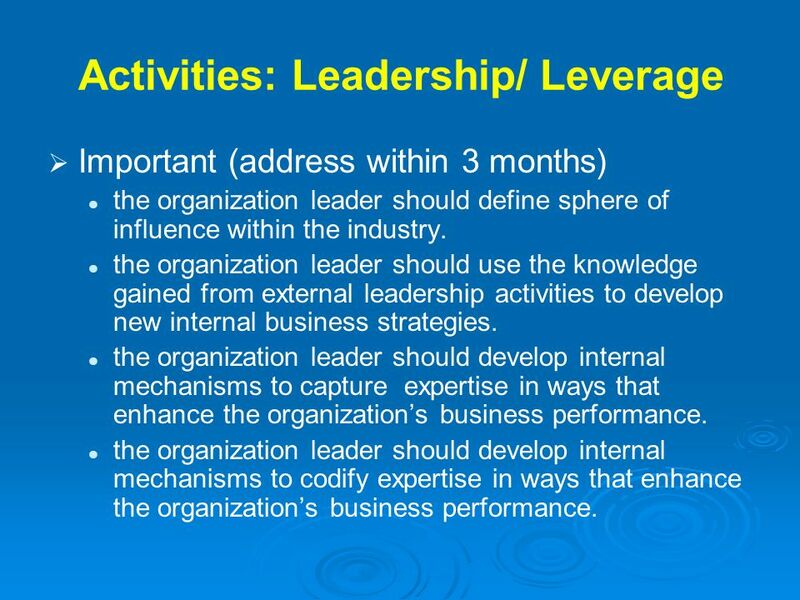 Important (address within 3 months) the organization leader should define sphere of influence within the industry. the organization leader should use the knowledge gained from external leadership activities to develop new internal business strategies. the organization leader should develop internal mechanisms to capture expertise in ways that enhance the organization’s business performance. the organization leader should develop internal mechanisms to codify expertise in ways that enhance the organization’s business performance. 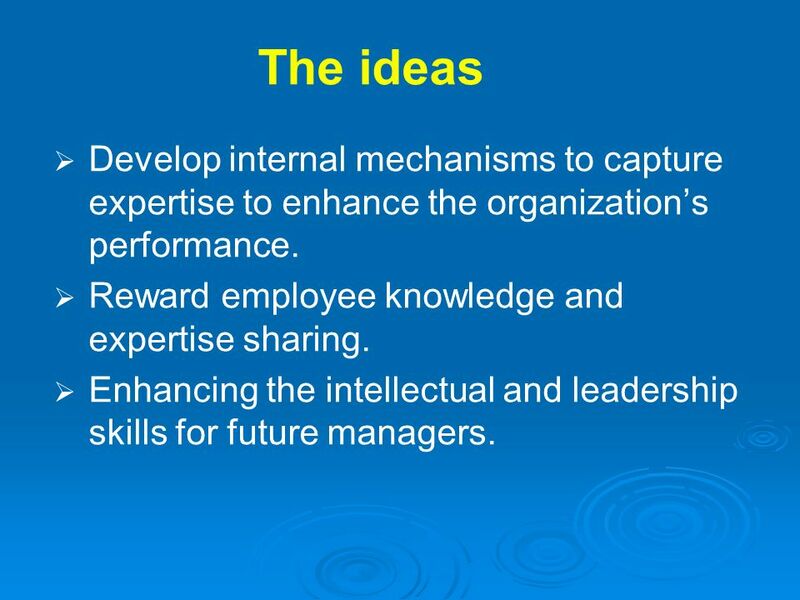 70 The ideas Develop internal mechanisms to capture expertise to enhance the organization’s performance. Reward employee knowledge and expertise sharing. Enhancing the intellectual and leadership skills for future managers. Knowledge partnership: Encouraging sharing knowledge and experience should be formalized and reinforced. Intrinsic rewards like recognition and selecting employee of the month have a direct impact to encourage people to share more of their knowledge and create a knowledge partnership within the department. 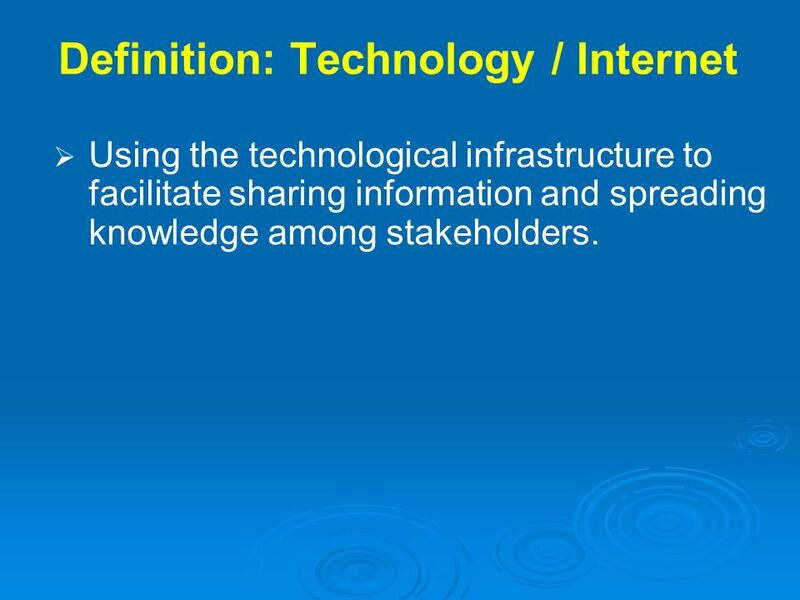 Using the technological infrastructure to facilitate sharing information and spreading knowledge among stakeholders. Urgent (address immediately) ensure that the most current advances in information technology are used within the organization. 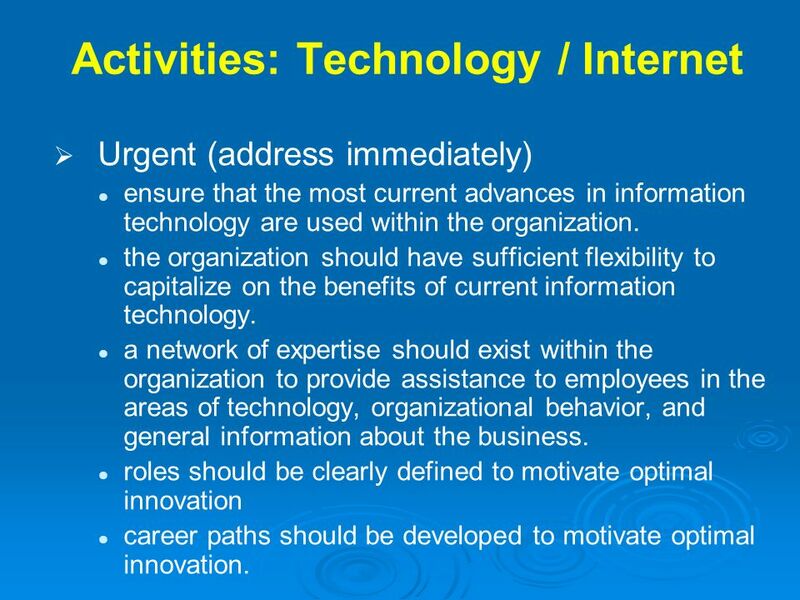 the organization should have sufficient flexibility to capitalize on the benefits of current information technology. a network of expertise should exist within the organization to provide assistance to employees in the areas of technology, organizational behavior, and general information about the business. roles should be clearly defined to motivate optimal innovation career paths should be developed to motivate optimal innovation. 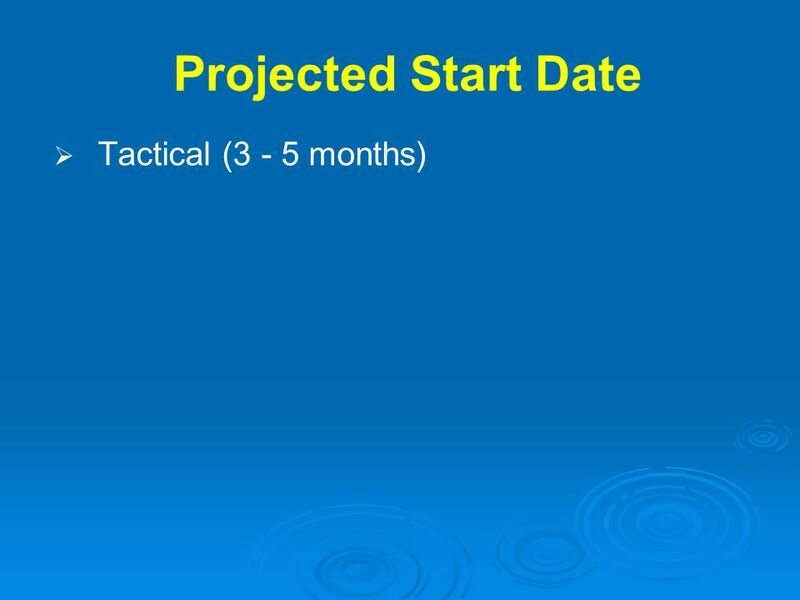 Important (address within 3 months) within the organization, there should be a well-defined technical infrastructure. within the organization, there should be a well-defined managerial infrastructure. the persons comprising the network must be easily identified by employees ensure that collaboration and interaction of employees across organizational boundaries is tracked. the organization should use cyberspace as a learning tool. 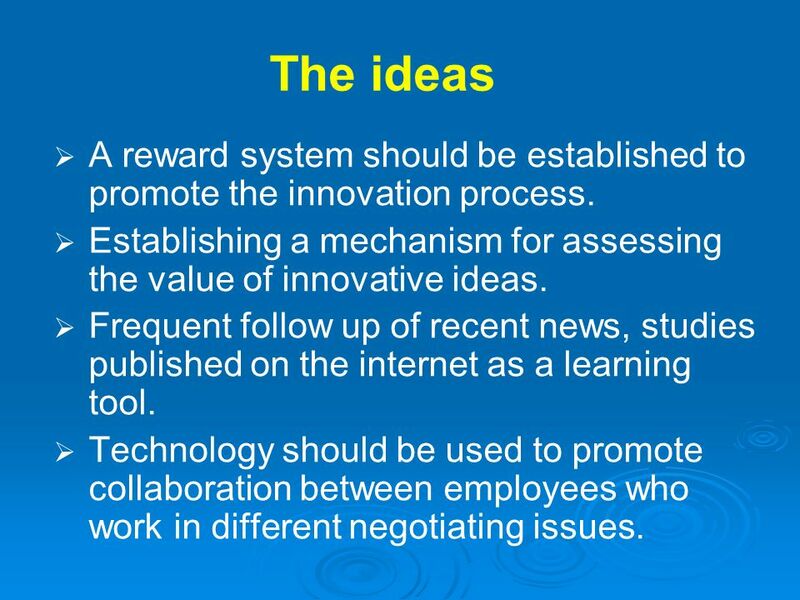 75 The ideas A reward system should be established to promote the innovation process. Establishing a mechanism for assessing the value of innovative ideas. Frequent follow up of recent news, studies published on the internet as a learning tool. 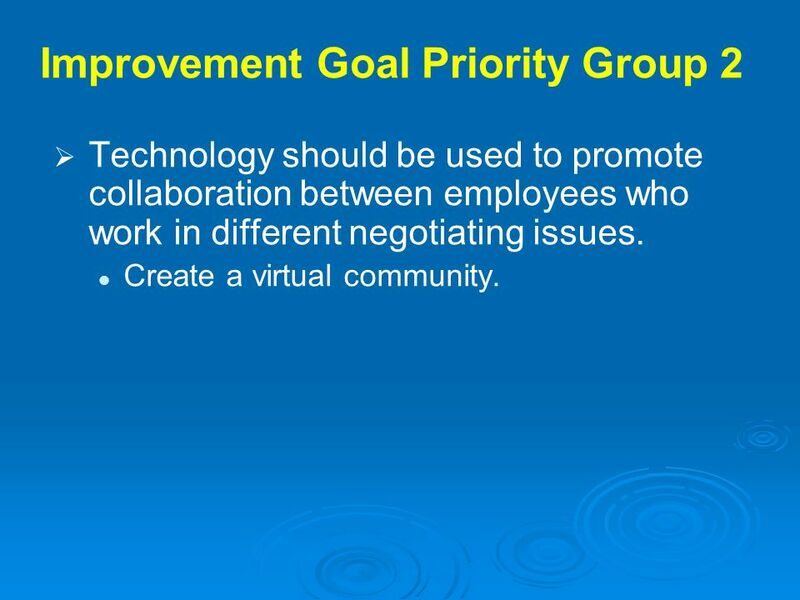 Technology should be used to promote collaboration between employees who work in different negotiating issues. Collaboration among employees: - Employees working in different issues subject to negotiations are mainly concerned with their specific topics, facilitate knowing each others’ tasks, an activity sheet and events calendar should be established on the intra net to share knowledge on what is happening in all issues. 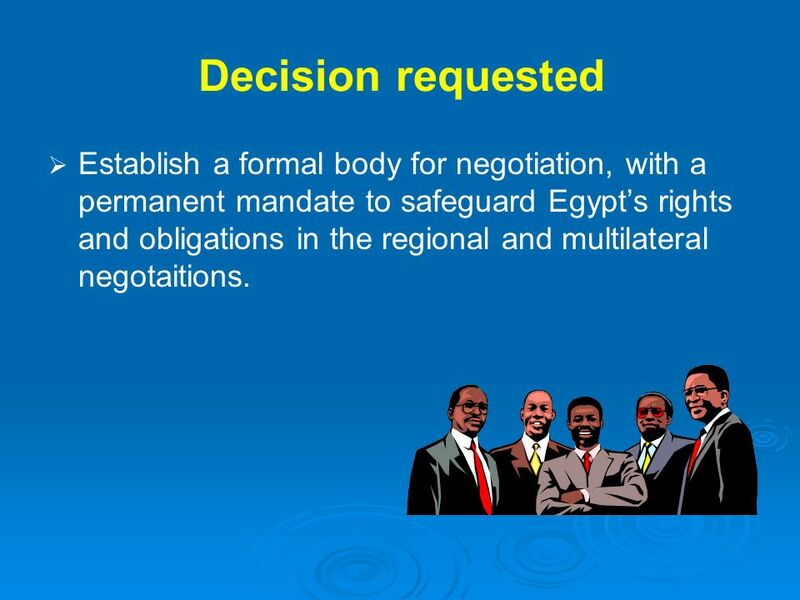 77 Decision requested Establish a formal body for negotiation, with a permanent mandate to safeguard Egypt’s rights and obligations in the regional and multilateral negotaitions. 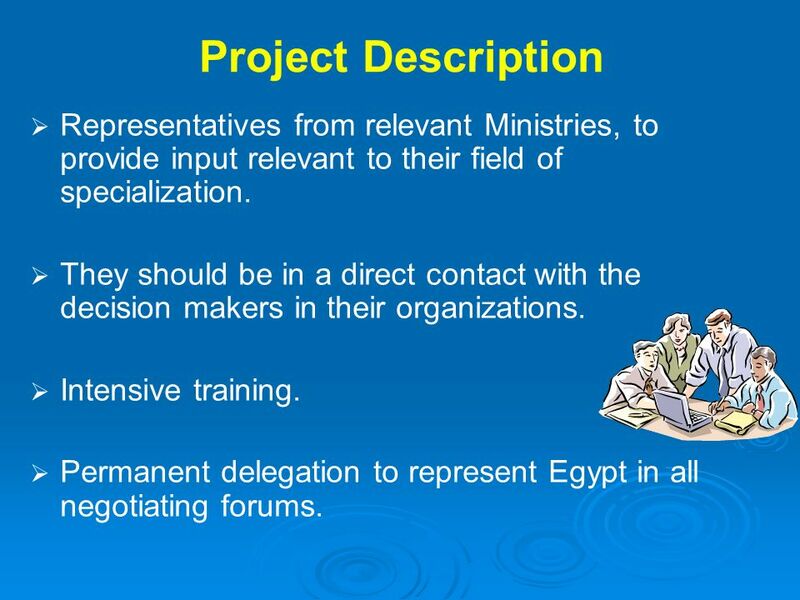 Download ppt "A Knowledge InnovationTM Project Proposal for Egypt’s Negotiating Body “Making Negotiation a National Duty” 26 June 2005, RITSEC." A Knowledge Innovation TM Project Proposal for ( Leaders of the Future ) 26/6/2005, RITSEC. 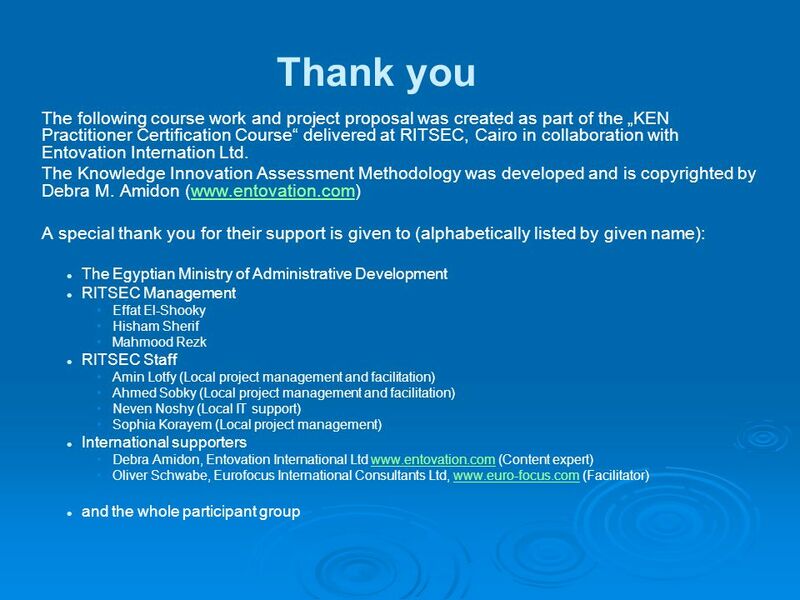 Thank you The following course work and project proposal was created as part of the „ KEN Practitioner Certification Course“ delivered at RITSEC, Cairo. Knowledge Innovation Practioner Project Proposal For Empowerment of Women June 26,2005 ( RITSEC) Prepared by: Alaa El-Dersh. WIIFM? The LAI and You LAI Action Plan: Promoting Libraries, Supporting Members Philip Cohen, Vice President. 1 Chapter 9 Implementing Six Sigma. Top 8 Reasons for Six Sigma Project Failure 8. The training was not practical. 7. 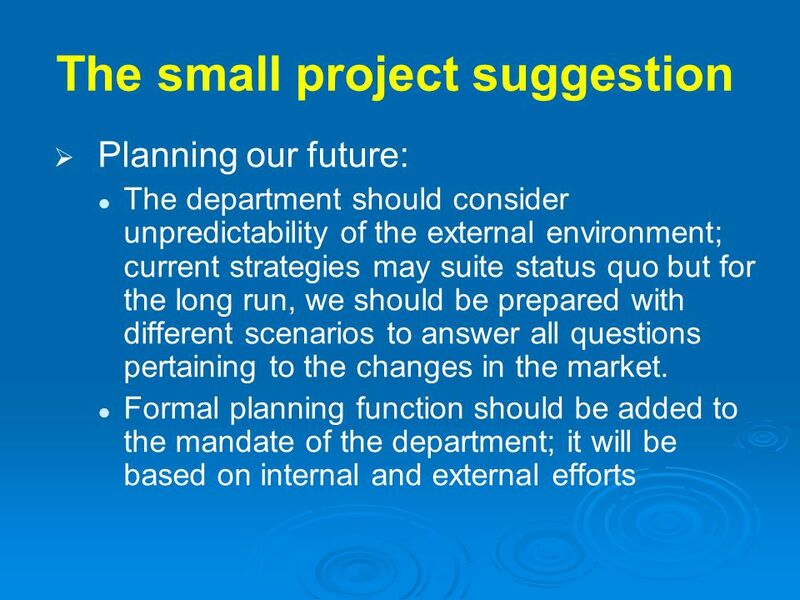 The project was too small for DMAIC.